Before Arundhati Roy’s novel and her essays, her film for Doordarshan delighted a generation. The National Film Awards that have been returned to the Bharatiya Janata Party government to protest the current state of intolerance include prizes for a movie that celebrates rebellion, free thinking and irreverence towards authority. Writer and polemicist Arundhati Roy and director and environmental activist Pradip Krishen have returned the National Awards they won for In Which Annie Gives It Those Ones, putting the peculiarly titled comedy back into the spotlight. Annie was aired late one night in 1989 on Doordarshan and then disappeared from view. The film’s reputation grew in direct proportion to its obscurity. Those who watched the laid back English-language comedy about architecture students struggling to complete their final submissions on Doordarshan never stopped talking about it. Those who hadn’t rediscovered Annie over the years in different contexts – as the first screenplay by Roy, the second movie by Krishen after his colonial-period drama Massey Sahib (1985), an early foray into television for future superstar Shah Rukh Khan, one of the most believable films on Indian college life, and one of the few successful examples of Indian cinema in English. 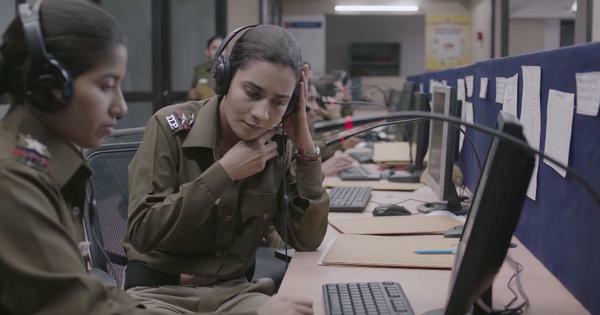 Penguin Books India has published the screenplay, and kind souls have rescued the film from anonymity by posting it on YouTube. In Which Annie Gives It Those Ones (1989). With its exploration of messy hostels, student bonhomie and solidarity and romances brewing in young hearts that are destined to die as soon as the course ends, Annie is both of its time as well as timeless. The funny, warm, affectionately observed and deftly directed ensemble piece stars present and future note worthies as students and faculty of an architecture college in Delhi. Annie is set a year and two months before the Emergency at the National Institute of Architecture (modelled on the School of Planning of Architecture where Roy earned a degree before she switched to writing). This is the kind of institution that the Rashtriya Swayamsewak Sangh will describe as a den of anti-nationals. The hostel rooms are hygiene disasters and the irreverent students spend more time playing table tennis and shooting the breeze than preparing for their submissions. They also have a healthy disregard for their teachers, especially the patronising principal YD Billimoria (Roshan Seth), known as Yamdoot for his unerring ability to killa student’s strivings with sarcasm. “My dear donkey, have you forgotten all about orientation,” Yamdoot tells a student who has submitted an ambitious plan about a resort. Yamdoot has a bone to pick with the titular character Anand Grover, or Annie (Arjun Raina), who dreams of revolutionising India through such radical ideas as planting trees alongside railway lines to make better use of the excreta dumped on the tracks by passing trains. The good-natured Annie’s harebrained schemes are the “those ones” of the title – hippy-dippy fantasies of using architecture to be of some use to society. 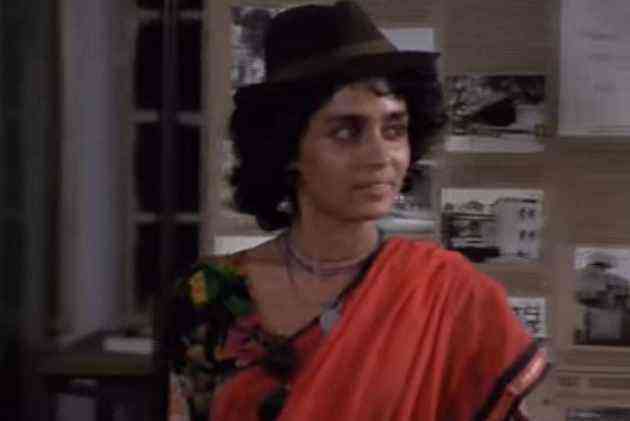 Roy’s Radha, a beedi-smoking bohemian who has a cool collection of mismatched clothing (her hat and sari ensemble is one of the film’s high sartorial moments), has no illusions about her chosen discipline. She is one of many students who, like budding engineers and doctors in similar colleges around the country, have been pushed into a course that will line the bank account but will not engage the heart. 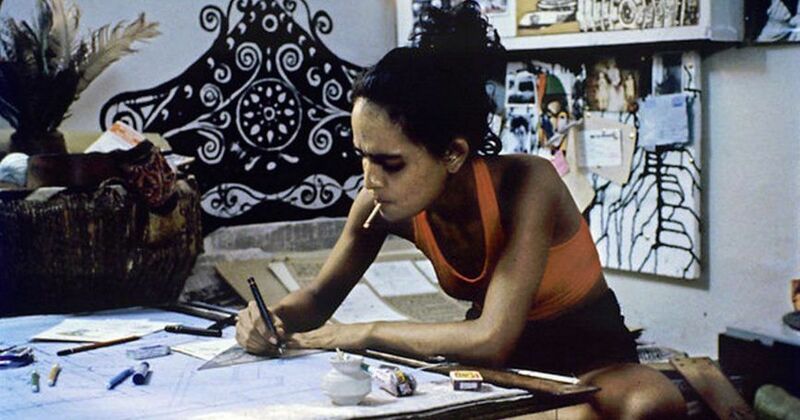 Arundhati Roy in In Which Annie Gives It Those Ones (1989). Roy emerged in the 1990s as a firebrand essayist, but her debut screenplay has none of the stridency of her later work. Annie observes the minor adventures of Annie and his friends and their frustrations with the academic system with fondness and drollness. Various hirsute men stalk the corridors in their underwear and smoke away their blues to a sound track peppered with 1960s and ‘70s standards. The women are mostly disposable, expect for Roy’s French New Wave import. They communicate with each other in a mongrel tongue of English, Hindi and Punjabi that represents the post-Midnight’s Children moment in Indian popular culture. Other films followed suit in the coming years, such as Nagesh Kukunoor’s Hyderabad Blues (1998) and Kaizad Gustad’s Bombay Boys (1998), but few of them could replicate Annie’s authenticity and ease with Indian English. Rajesh Joshi’s fluid camerawork matches the screenplay’s easygoing rhythm, and his close-ups draw attention to faces that would become more familiar in the following years. Rituraj plays Radha’s boyfriend, whose Afro hairdo matches her untamed curls. Shah Rukh Khan has a tiny part as an effete student known as “Senior.” Divya Seth is“Lakes”, a mugger who inveigles herself with her professor. Were Annie to be released today, the casual profanity would be bleeped out and an anti-smoking health advisory would be plastered to the right-hand corner of the screen. Pradip Krishen’s film was made for television in a more tolerant and less divisive age, when it was perfectly alright to show students in their skivvies and thumbing their nose at authority. The National Film Awards for Annie were richly deserved, and their return makes perfect sense too.